24 Charlesgate East (419) Commonwealth is located on the NE corner of Commonwealth and Charlesgate East (and the SE corner of Marlborough and Charlesgate East), with 415 Commonwealth to the east, 10 Charlesgate East to the north, across Marlborough, and 400-416 Commonwealth to the south, across Commonwealth. 24 Charlesgate East (419 Commonwealth) was designed by Peabody and Stearns, architects, and built by Woodbury & Leighton, builders, in 1891-1892, for attorney William Minot, III (called William Minot, Jr.) and his wife, Elizabeth Vredenburgh (Van Pelt) Minot. He is shown as the owner of 24 Charlesgate East on the final building inspection report, dated October 10, 1892. The original house was built at the corner of Commonwealth and Charlesgate East with an open side yard about 55 feet on Charlesgate East running to Marlborough. William Minot purchased the land for 24 Charlesgate East on February 10, 1891, from Walter Hunnewell. 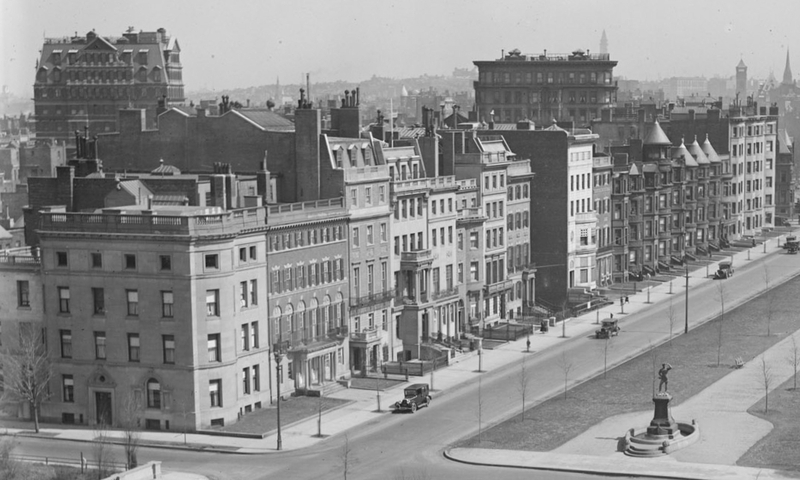 It was the western portion of a 125 foot wide lot running east from Charlesgate East that Walter Hunnewell had purchased on December 21, 1885, from a real estate investment trust formed by Francis A. Palfrey, Francis A. Osborn, and Grenville T. W. Braman. The lot was part of a tract of land the trust had purchased on June 1, 1880, from the Boston Water Power Company. When trustees sold the lot to Walter Hunnewell, they included language prohibiting the use of any building on the land as a stable. 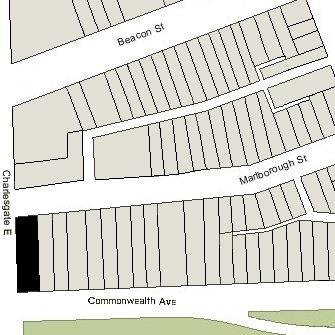 Click here for an index to the deeds for 24 Charlesgate East (419 Commonwealth), and click here for further information on the land west of Massachusetts Avenue between the south side of Beacon and the north side of Commonwealth. 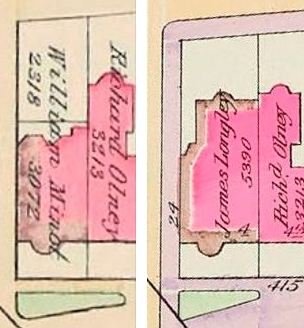 By the 1892-1893 winter season, William and Elizabeth (Van Pelt) Minot had made 24 Charlesgate East their home. They previously had lived at The Charlesgate at 535 Beacon, and at 321 Marlborough prior to that. The Minots continued to live at 24 Charlesgate East during the 1894-1895 winter season, but moved thereafter. By the 1896-1897 season, they were living at 297 Marlborough. at 297 Marlborough. On September 7, 1895, 24 Charlesgate East was purchased from William Minot, III, by James Longley. He and his wife, Julia (Robinson) Longley, made it their home. They previously had lived at 552 Massachusetts Avenue. James Longley had been a boot, shoe, and leather merchant in partnership with his father-in-law, John P. Robinson. He later became president of several textile mills and manufacturing companies. 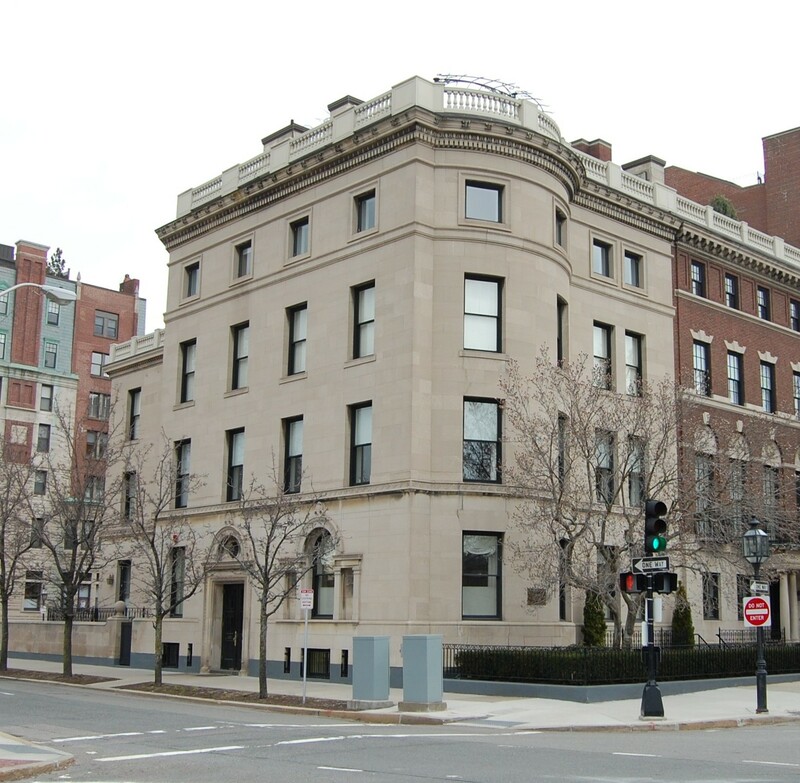 After acquiring 24 Charlesgate East, the Longleys had a two story (plus basement) addition built in the open area to the north, designed by Peabody and Stearns. The kitchen, dining room, and servants’ quarters were moved to the addition, and the basement, first, and second stories of the original house were remodeled. 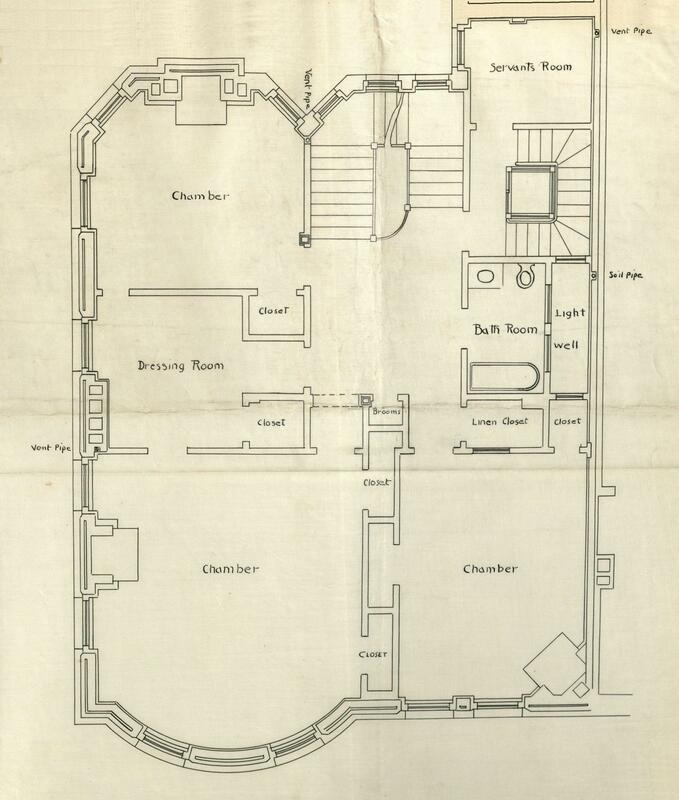 Plans for the addition are included in the Peabody and Stearns Collection in the Boston Public Library’s Arts Department (reference PS/MA.097). Click here to view the architectural plans for the addition to 24 Charlesgate East, including floor plans of the basement, first, and second floors for the entire house. The Longleys lived elsewhere during the 1895-1896 winter season while the construction was underway, but had moved to 24 Charlesgate East by the next season. Julia Longley’s widowed mother, Eliza A. (Rice) Robinson, lived with them until her death in September of 1906. James Longley died in May of 1916. Julia Longley continued to live at 24 Charlesgate East until her death in February of 1920. On May 21, 1920, 24 Charlesgate East was acquired from James Longley’s estate by Edith (Sherman) Morss, the wife of wire and cable manufacturer Henry Adams Morss. They previously had lived at 463 Commonwealth. They also maintained a home on Marblehead Neck. Henry Morss died in May of 1936, Edith Morss continued to live at 24 Charlesgate East until about 1945, when she moved to an apartment at 6 Arlington. On October 30, 1945, 24 Charlesgate East was acquired from Edith Morss by Julia (Leverone) Arata, widow of Paul Arata, and her son, Fred L. Arata, a retail liquor dealer and real estate investor. Fred Arata and his wife, Annette Flossie (Crovo) Boggiano Arata, lived in Brighton. His mother lived with them. Julia Arata died in April of 1952 and on April 5, 1954, Fred Arata transferred the property into his and his wife’s name. He died in December of 1959. On April 20, 1960, 24 Charlesgate East was purchased from Annette Arata by Garland Junior College. It already owned 407-415 Commonwealth as well as a number of other properties in the Back Bay. In August of 1960, Garland Junior College filed for (and subsequently received) permission to convert 24 Charlesgate East from a single-family dwelling and offices into a dormitory, reading room, and classrooms. In April of 1968, it applied for (and subsequently received) permission to construct a one-story, 21 foot x 32 foot addition at the rear of the building for use as a work shop. In April of 1976, Garland Junior College announced that, because of financial difficulties, it was merging with Simmons College. It subsequently sold twelve of its properties and on October 21, 1977, it transferred the remainder – those located furthest west (407-415 Commonwealth, 24 Charlesgate East (419 Commonwealth), and 451 Marlborough) – to Simmons College. On June 28, 2005, Simmons College sold those buildings – 451 Marlborough, 407-415 Commonwealth, and 24 Charlesgate East (419 Commonwealth) – to Terra Green II LLC (formed by Terra Mark Development of New York and local partners). The proceeds from the sale were used to finance construction of a new school of management building. 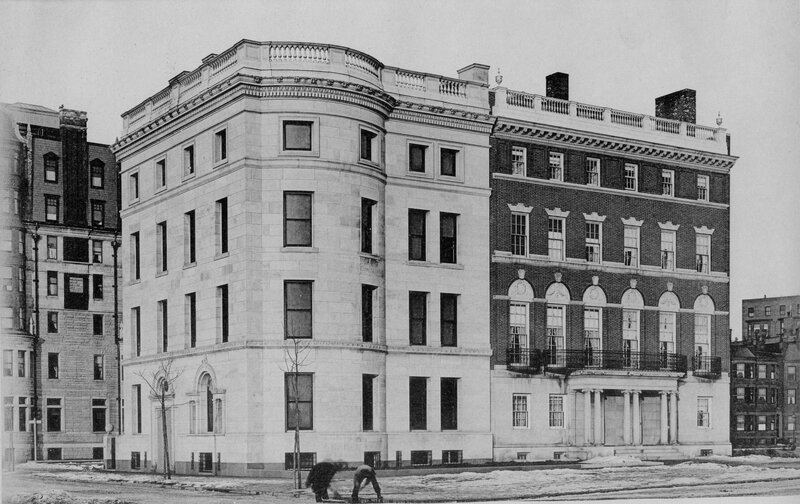 Simmons College continued to occupy several of the Back Bay buildings until the new building was completed. In September of 2005, Terra Green II LLC filed for permission to combine 413-415 Commonwealth and 24 Charlesgate East (419 Commonwealth) into one building and convert it into fourteen apartments with an interior garage. It subsequently abandoned the permit. In November of 2005, Terra Green II LLC filed for (and subsequently received) permission to convert 413-415 Commonwealth into nine apartments and an interior garage. At the same time, it also filed for (and subsequently received) permission to convert 24 Charlesgate East (419 Commonwealth) into four apartments and an interior garage. 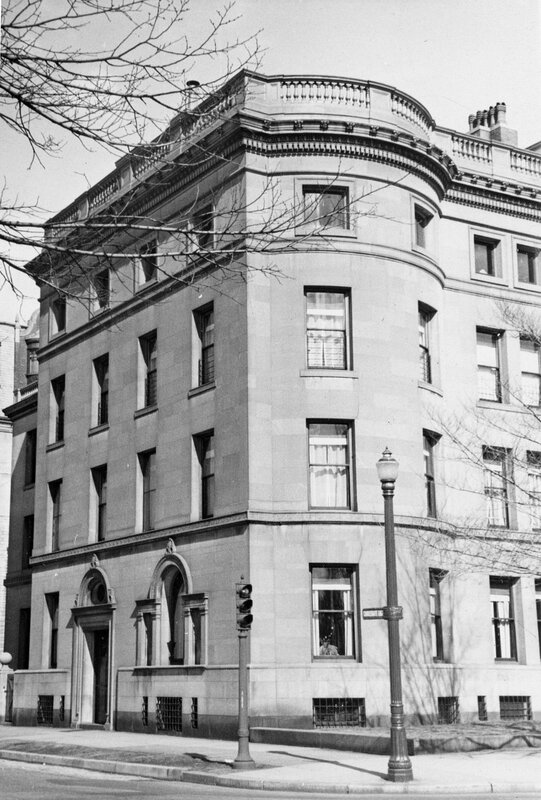 The two buildings — 413-415 Commonwealth and 24 Charlesgate East (419 Commonwealth) — remained separate buildings, with the latter having the street address of 419 Commonwealth. On April 9, 2007, Terra Green II LLC converted 413-415 Commonwealth and 419 Commonwealth into thirteen condominium units – nine at 413-415 Commonwealth and four at 419 Commonwealth – The Meads of Commonwealth Condominium. In the condominium master deed, it specified that the conversion was Phase I of The Meads, and that Phase II would be to convert 407-409-411 Commonwealth. Instead, on November 10, 2010, it sold those properties, along with 451 Marlborough, to HD 407-411 LLC, formed by the Holland Development Company, which remodeled and converted them into condominium units.